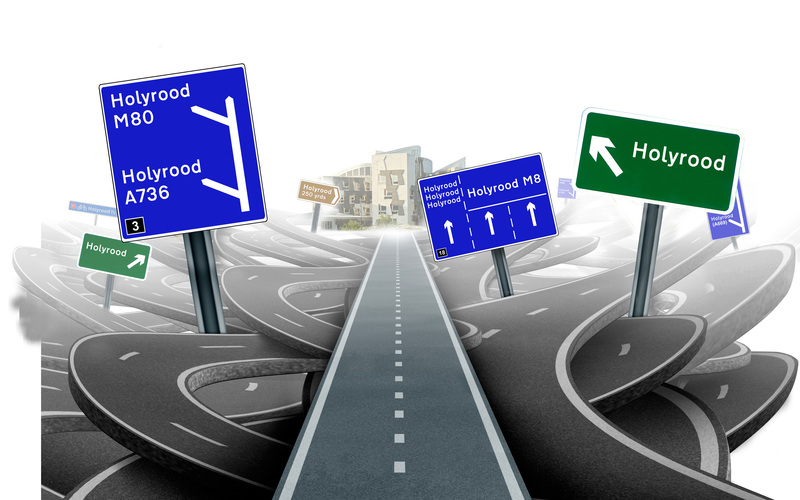 "All roads lead to Holyrood." ALL politics is about power – who holds it, who doesn’t, who wants it, what they want it for, and what they do with it when they get it. The story of humanity is, for good and ill, the story of power. Modern Scotland has a neurotic relationship with power. For decades, the national political debate has been dominated by arguments not so much about what should be done, but about who should be doing it. Over the second half of the 20th Century the view gradually came to dominate that Westminster and even the old Scottish Office were no longer credible or desirable forums for running schools and hospitals and other services north of the Border. Those decisions would be better made closer to the public that used them, by politicians focused on Scotland as their day job, through the mechanism of a devolved, democratically elected parliament. Since its advent in 1999 – and even though Scots voted to stay within the UK in the 2014 referendum – there has been broad acceptance that Holyrood will steadily accrete more responsibilities as time passes. Of all the parties, the SNP has the most fraught relationship with power. It has been in government in Edinburgh since 2007, over which period it has had control of the levers, buttons and pedals that shape the contours of the Scottish state. A decade or so on, we have a picture of how the party prefers to use that kit. To be harsh, although its heart is usually in the right place it is nevertheless too often cautious and warily incrementalist, and almost always allergic to confrontation. It is no fan of the hard call. Its bolder instincts are cowed by the noisy and conservative vested interests in the public sector. And, of course, at all times it has one eye fixed on how to reach its overriding goal of Scottish independence. The SNP is also – and do not miss the irony here – a hyperactive and unapologetic centraliser. Nicola Sturgeon is a much better First Minister than Alex Salmond was, much more engaged in the detail and driven by outcomes, but she likes to hoard power more than her predecessor did. She freely admits delegation is not one of her strong points. For the SNP, then, the answer to the question “who should hold power?” appears to be “us, here, in Edinburgh”. The idea that Holyrood might usefully devolve controls further down the chain to councils and communities seems to have little purchase on the Nationalist imagination. Here are some examples of this mindset in practice. School autonomy: The Government recently withdrew a proposed Bill that would have given headteachers more say over how schools are run. This avoided a bruising clash with the teaching unions and education authorities – organisations, known to critics as the McBlob, that have frustrated efforts to modernise Scottish education in ways being successfully implemented elsewhere in the world. Education Secretary John Swinney instead announced an “agreement” that would see councils introduce some of the Bill’s policies on a voluntary basis. Policing: Five years ago the SNP replaced Scotland’s eight regional police forces with a single, unified body called Police Scotland. The new centralised force has had horrendous birthing pains, losing its first two chief constables in quick succession and being accused of being unable to respond effectively to local crimes and concerns. Last week, David Belfall, a former Home Office civil servant and ex-head of the Scottish Office Police and Emergency Services Group, pointed out the change has also led to a significant shift in police oversight in an article for the Reform Scotland think tank, where I am director. Where the old forces were accountable to elected councillors, Police Scotland is managed by “an appointed police authority, all of whose members are appointed by Scottish Ministers”. A review of police governance by Andrew Flanagan, former chair of the Scottish Police Authority (who has also since resigned), found that “the overriding perception has been that local communities are not being listened to and that commanders do not have enough autonomy to make decisions.” A decision to create a single Scottish Fire and Rescue Service has proved equally controversial. Local taxation: This summer, Edinburgh’s SNP council leader Adam McVey announced the capital wanted to levy a tourist tax, allowing it to take advantage of its global destination status and raise revenue for services. Astonishingly, McVey was shot down in public by SNP Culture and Tourism Secretary Fiona Hyslop. SNP on SNP action is vanishingly rare, which suggests real tensions are emerging at national and local levels. This is the nub of the issue. Should Holyrood seek to limit and control the behaviour of councils in order to avoid flaky administrations adopting irresponsible or wacky policies? Or should it empower local democracy so that councils are free to respond to their discrete community needs and then robustly be held accountable at the ballot box? At the moment, councils have little control over how much money they can raise. Last week, Reform Scotland, submitted our thoughts to the Scottish Government’s consultation on reform of non-domestic rates (perhaps more known as business rates). We point out that if it’s accepted, there is no single UK economy, but a series of regional ones, the same is true within Scotland. To give just a few examples: between 2011 and 2016 Edinburgh’s mean population growth was 1.2% while Greenock’s was -0.5%; the three-year survival rate for businesses in Aberdeenshire was 71% but only 57% in Renfrewshire; the unemployment rate for adults over 16 in 2016 was 6.5% in Kilmarnock and Irvine and 3.4% in Dunfermline and Kirkcaldy. To address these variations in economic circumstances, councils should have greater control over local taxation, rather than being subject to a one-size-fits-all decree from the centre. Let a thousand flowers bloom. It is time for change – and for Holyrood and Nicola Sturgeon to learn to let go.